This past Fall was filled with soccer. Gabriel played mostly JV soccer for his high school team, and my daughter, Micah, played soccer for her private all girls high school team. Having two high school soccer players in the house required strict attention to schedules and a balancing act of managing rides, soccer Mom duties, and tending to the needs of non-soccer playing siblings that would send most corporate CEO cowering into a corner. We were busy. The best part of the soccer season, however, occurred after the last game. The infamous awards night, or in my daughter’s case, soccer team banquet. The public high school honored all of their Fall sports during one massive assembly on a Thursday evening. Name after name of scholar athlete was read, while bleachers filled with proud parents looked on. After a short break for cookies in the cafeteria, the various Fall sports teams separated into individual classrooms for sport specific awards; speeches from coaches, and individual recognition. Gabriel’s team returned to the gym. To our surprise, Gabriel’s coach spoke briefly about each “Senior” recognizing him within this select group. 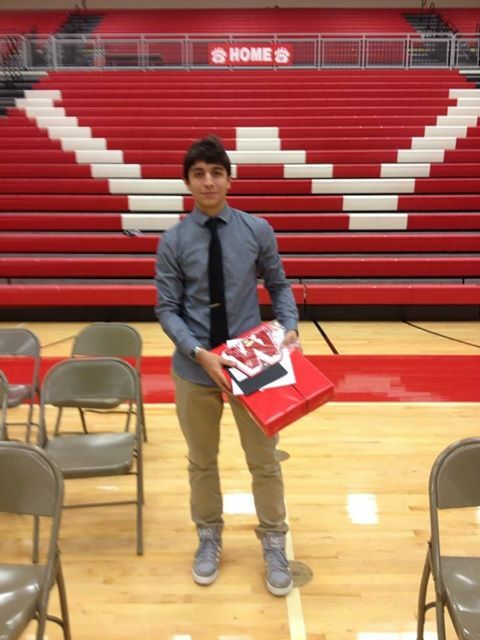 Kind words were exchanged and Gabriel received a Varsity School Letter, pin, and a special Senior gift. He was thrilled and we were too. Micah’s banquet was equally rewarding. After three years of playing on her school’s soccer team, and a bit of high school athletic politics, she received her Varsity letter. 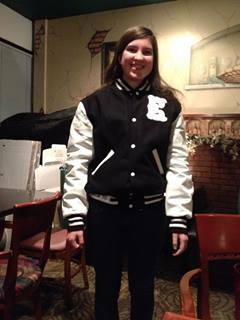 For Micah, this meant the ability to purchase a Varsity letter (woman) jacket, valuable cultural capital at her school. It was a sweet victory earned through patience, persistence and fortitude. Micah and her letter (woman) jacket. It was a busy soccer season, but the effort was worth it. Two high school soccer players, two varsity letters, two varsity letter jackets. American high school culture at its best. 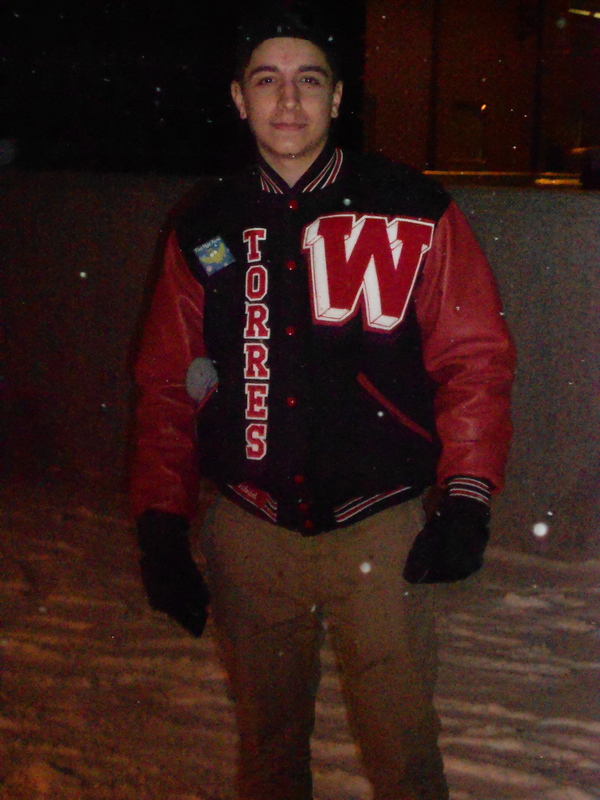 WHS Varsity Letterman jacket—oh yeah! It’s Homecoming weekend in our small town. Since my older children homeschooled, and my current high school aged daughter attends a private, all girls school, Gabriel is introducing our family to the local high school homecoming culture. It’s been an education for all of us. Gabriel has caused quite a sensation at the high school with the female population. He was asked my numerous young ladies to be their date to Homecoming. He feigned ignorance until one of his favorite girls chose her moment. He accepted and reassured us that, “she is very beautiful”. How sweet we thought. How cute. 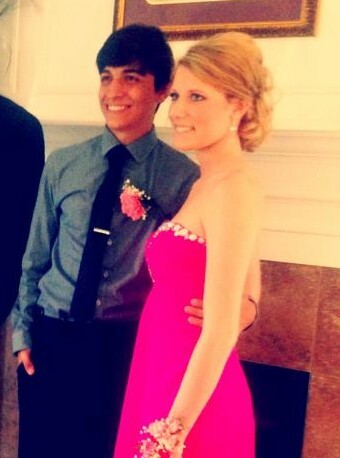 Neither Gabriel, nor my husband and I, realized the extent of pageantry associated with the annual Homecoming dance. Apparently, the first invitation was insufficient. Gabriel was instructed by his date that he must now ask her to the dance. He described the dialogue to us one evening. “But you asked me?”he said. “What is this?” he asked my husband and I.
I shook my head. I had no idea. Was he going to the Homecoming dance or getting ready to propose marriage? Was this a little over the top? “I don’t know, Gabriel”, I admitted. “This is a culture I don’t understand either”. My husband summed it up for him. “I guess you are learning that American girls are high maintenance”. “Hey!” I cautioned. “Watch the stereotypes”. Eventually we figured it out. Gabriel’s date got her “official proposal to the dance”. She provided instruction on numerous other cultural expectations for the evening. Flowers, her dress color and his subsequent tie choice, budget for the evening’s dinner, and time and location of pictures were just a few of the lessons. It was a personalized, independent study on American high school culture and dating for Gabriel; direct and complete. It’s been an interesting cultural lesson for our entire family. You never realize how important it is to have a cultural ambassador until you try to navigate the murky waters of a high school dance. We salute Gabriel’s date for setting sail, inviting him into the boat, and making sure his voyage was smooth sailing. Gabriel is here! Our family is learning about Brazil and Brazilian culture this year as we serve as Ambassadors to Gabriel from Brazil. Gabriel is learning a lot about small town America and adjusting well to eating out (way too often), American-style soccer, and the fact we do not put ketchup on our pizza. We have learned we cannot pronounce many Portuguese words correctly with our clumsy American accents and that we have never been to a party, until we have been to Carnival. It’s going to be a great year filled with warm and happy memories. 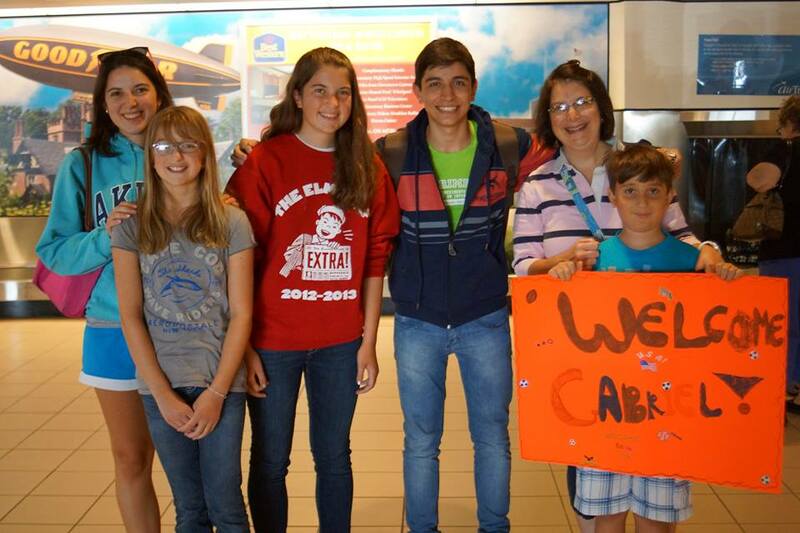 Welcome to the USA Gabriel!!! Hello and welcome to my blog, “An International Family”. I chose to create this blog to chronicle our family’s experience with international student exchange. Our family fell into hosting exchange students completely by accident. 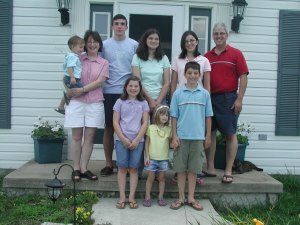 In 2006, we were a homeschool family and often received mailings directed to traditional brick and mortar schools at our home. One day a postcard sent in the mail beckoned to me saying, “Take Your Foreign Language Students to Europe!” It was such a refreshing idea, that I went to the company’s website to peruse my options and pondered how to market the idea to other homeschool families. Then I saw it. A little button titled, “Host in the US”. I clicked and within moments I had entered my contact information and sent off an email inquiry regarding hosting an exchange student for a short three week visit. The next day, I was called by a French teacher from a local high school who had received my contact information from the website. They were desperate for host families and “was I still interested?” Gulp. I realized I was launching into new territory, but what the heck. It was only three weeks in the summer. “Sure”, I said. He asked me what type of student I would like to host. Trying to appear diplomatic I said, “Ideally, a girl, but we can take a boy”. I had two teenage daughters at the time and absolutely did not want to host a boy. He promised to find a good match and would forward the student’s contact information to us as soon as possible. Within the week, we received the notice of our match, a French boy named Guillaume. I looked at this kid’s profile and photo and wondered what I had gotten our family into. I didn’t realize at the time we had just entered into one of the most exciting experiences of our family’s lifetime. We picked up Guillaume at the school’s parking lot a few months later. It was mid-July and he would stay with our family for three weeks. His goal was to spend time with a typical American family to learn about typical American culture and to improve his English fluency. We were not to “entertain” him, but treat him as a member of the family. After some formal introductions, he hopped into the front seat of our mini-van. I started the car, nervous and unsure what to say to this “new family member”. He placed his hand on the dashboard in front of him and said almost in disbelief to me, “We have this same car”. “You do?” I asked. “Yes, only green”, he answered. There is a comfort and security in the familiar and we both smiled at each other relieved to have found common ground so quickly. Guillaume’s stay with our family was a series of “Us too!” moments. The world shrunk daily as we began to realize we had more in common with northern France, than even some of our American neighbors. It was an exciting educational time of bonding and learning for Guillaume and our family. Three weeks passed very quickly, and before we knew it we were saying goodbyes and sharing hugs at the airport. There were many tears from everyone and we both promised to stay in touch. We held to our promises, exchanging emails, letters, photos, and Christmas gifts for years. My oldest two daughters visited his family in France the next summer. His younger brother, Pierre, and younger sister, Charlotte visited us in subsequent summers. Last May, I became a Local Coordinator for Academic Year in America (AYA). I am responsible for connecting host families with international students and helping them through the often murky waters of student exchange paperwork and cultural challenges. I love my work, and believe so much in the power of student exchange to change cultural expectations and stereotypes. I truly believe student exchange helps future generations along the path to world peace and unity. Won’t you join our family and others in the adventure of a lifetime? I promise it will change you in every good way and you won’t be disappointed.